The largest fruits of all our jaboticaba's, this variety can produce golf ball sized fruits and is aptly named the Giant Jaboticaba. Looking at the picture you can see the normal sized Jaboticaba fruit on the left vs The Giant Jaboticaba fruit on the right. 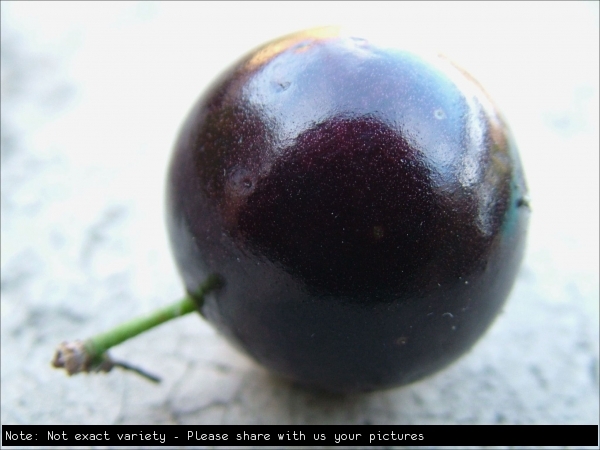 It is an Ornamental evergreen tree from Brazil grown for unusual sweet black fruit which cover the inside trunks. *Note this is the very first release and only 25 will be available for sale in 2015 hence why it is in our rare and collectable category. We are hoping to produce more at a later date unknown.